Did you enjoy the little printable paper people from Monday? 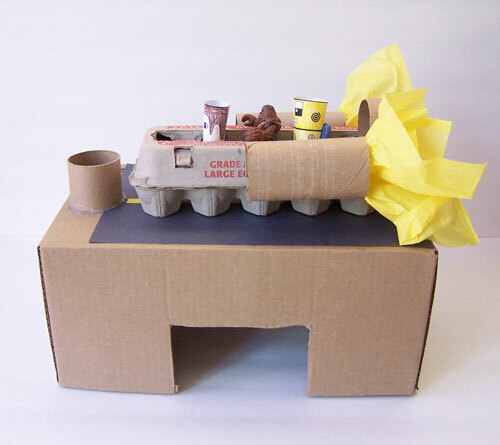 Today I’m going to show you how we made an egg carton spaceship and little cardboard house for our paper people. And the fun thing is, these can easily be used for any figures or small dolls. 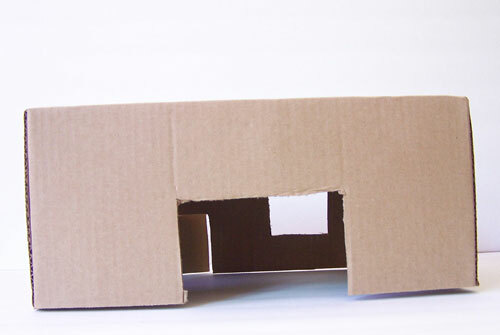 We’ll start by making our cardboard dollhouse. 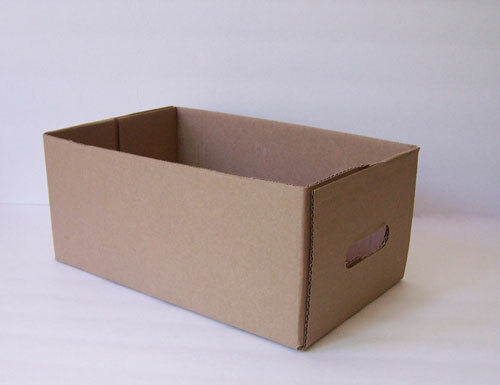 Take a small cardboard box. We used a box that had held oranges from Costco. 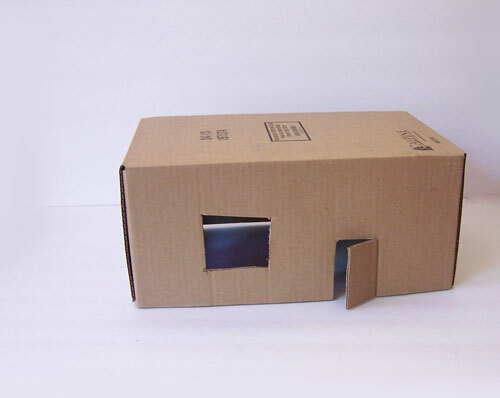 Cut out a door and windows to start making a little cardboard house. 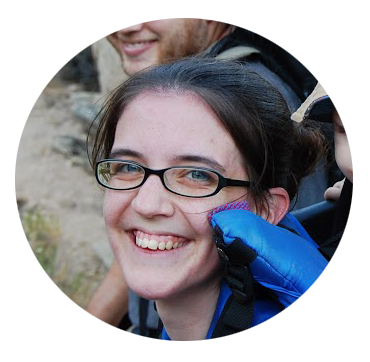 I like to cut openings big enough for little ones to get their hands into easily. It also makes it an easier toy to share! 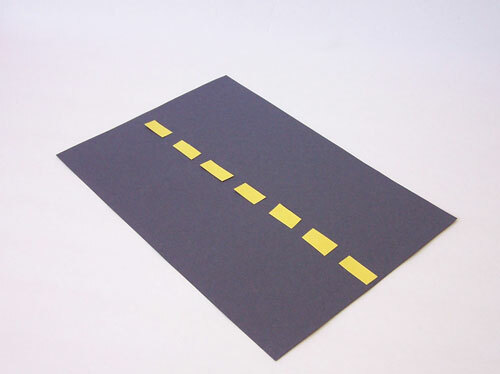 Take a black piece of construction paper. 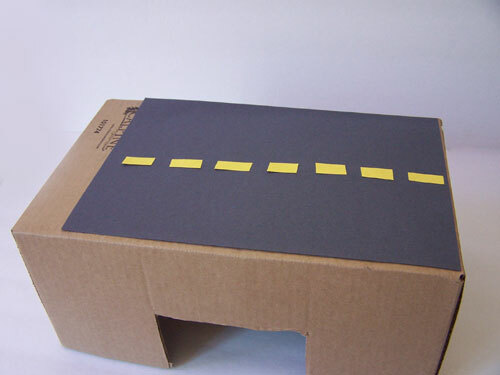 Cut it to fit on top of your cardboard box. 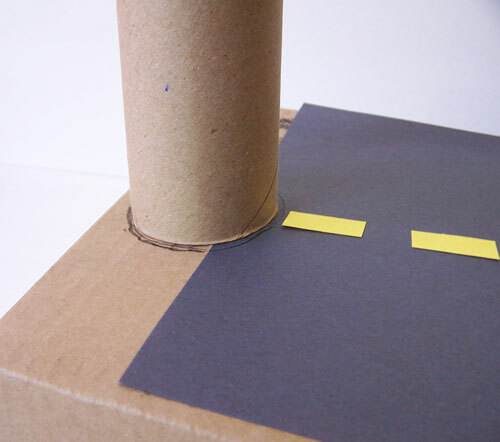 Glue down small strips of yellow paper to create a landing area for the spaceship. 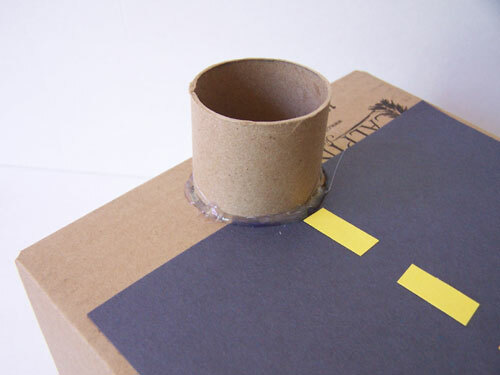 Glue it to the top of the cardboard house. 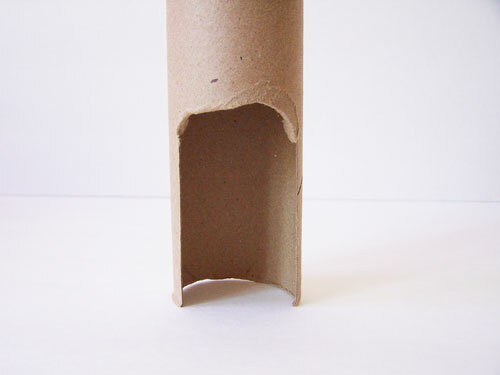 Take a long cardboard tube (a paper towel roll works great for this part) and cut out a small opening at the bottom. 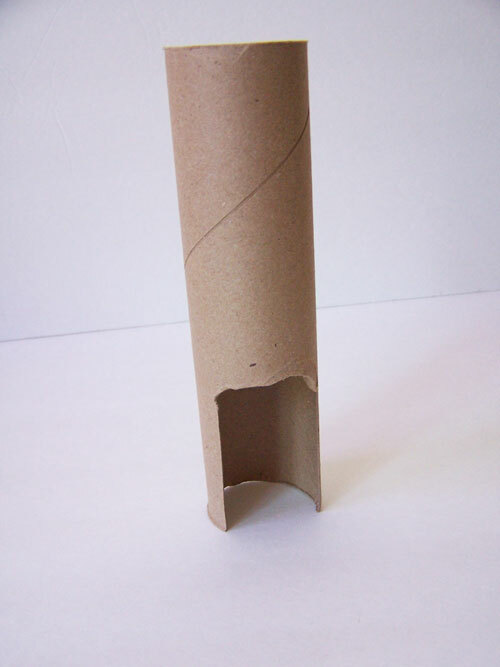 Make sure it’s tall enough for your little paper people. 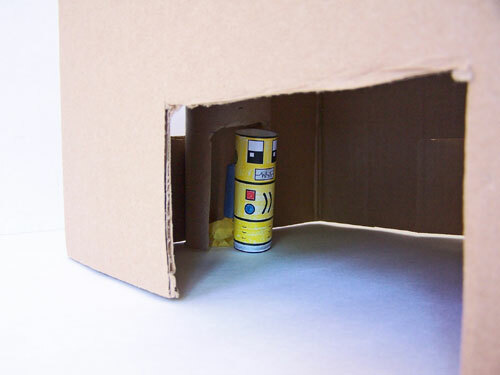 Using the other end of the tube, trace it’s shape on the top of one end of the cardboard dollhouse. 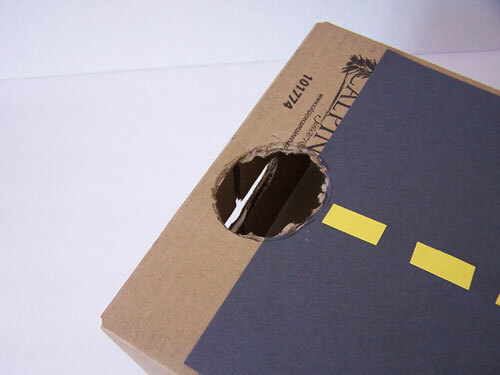 Cut out the hole using a box cutter or scissors. It doesn’t have to be pretty – just don’t make it too big. It’s better for it to be a little smaller than the tube for a snug fit. 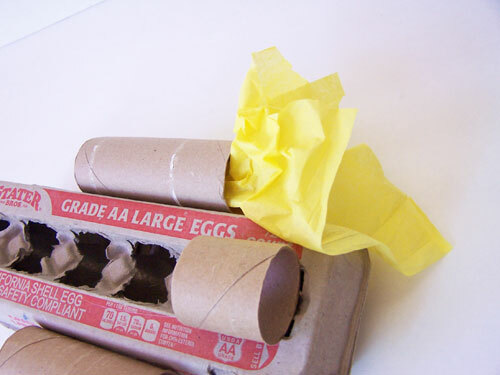 Insert the paper towel roll. 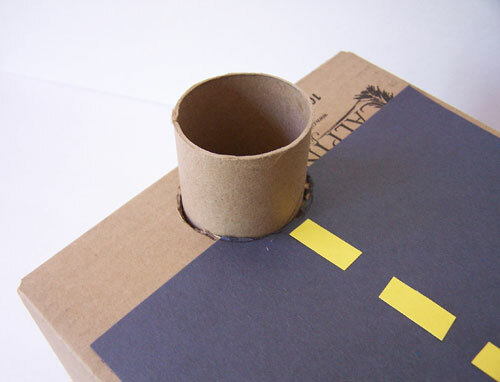 Glue around the edge of the cardboard tube to secure it. And test out the little tube elevator. 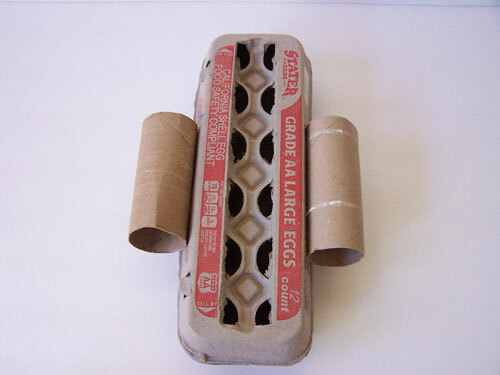 Now lets move onto the egg carton spaceship. 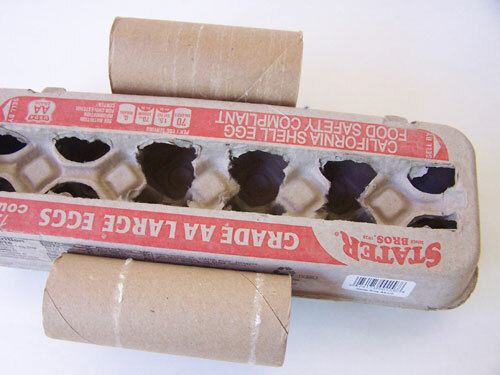 Take an egg carton and some toilet paper rolls. 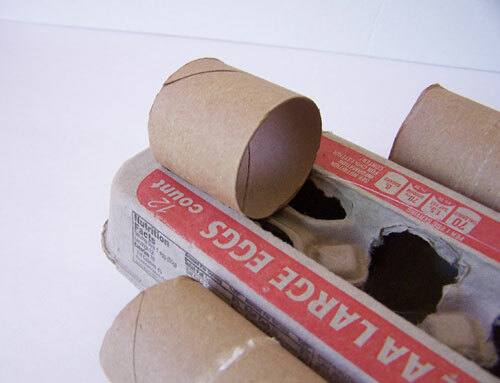 Attach two toilet paper tubes to the sides of the spaceship. Cut out some holes to make seats for paper people or figures. 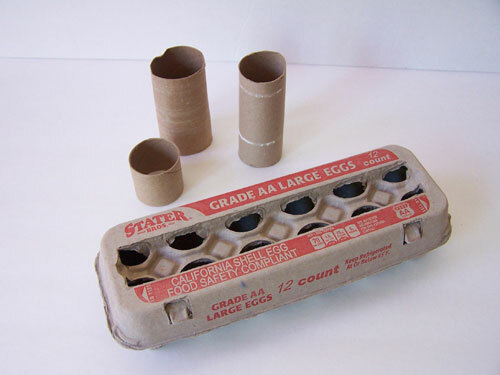 Glue a smaller tube to the top of the lid of the egg carton. 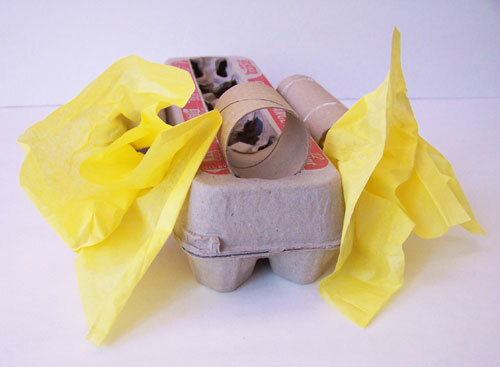 Cut out some squares of yellow or orange tissue paper. Glue them to the back of the engines. 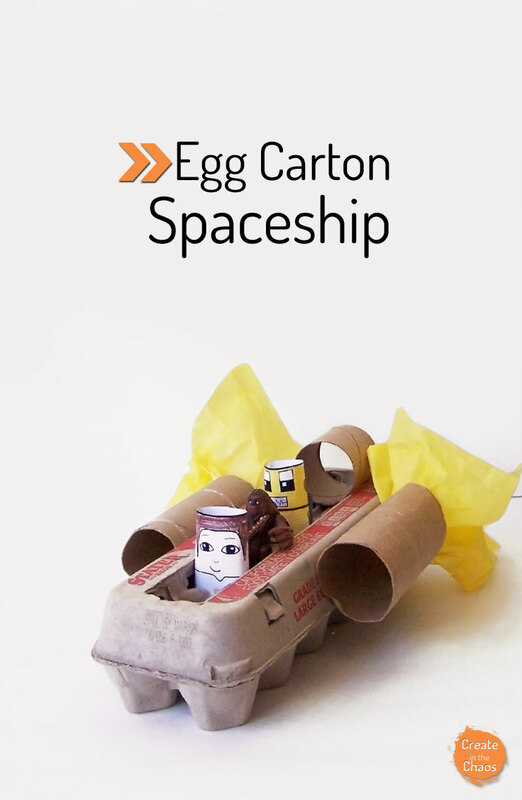 Now your egg carton spaceship is all set to go! With projects like these, I love seeing what the boys come up with when I’m done with my part. 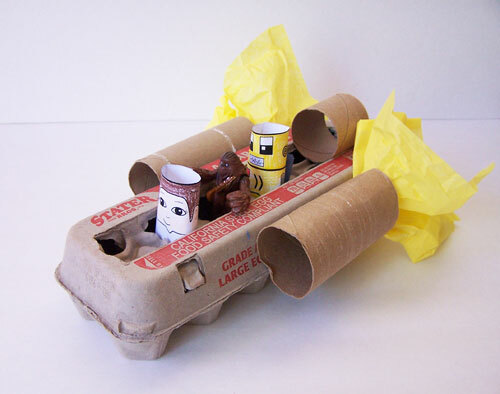 Malcolm added some stickers onto the spaceship, and used the inside of the egg carton to store “treasures” to fly around. P.S. 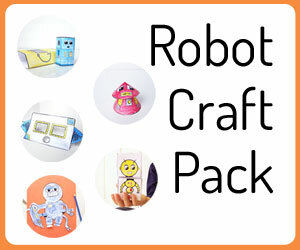 Don’t forget to go print of the paper doll people from Monday to use for the cardboard house and egg carton spaceship.